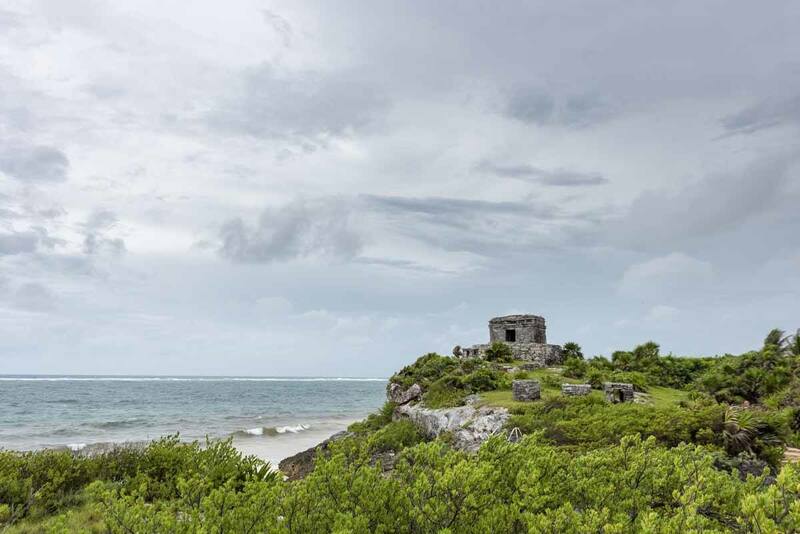 Are you planning to travel to Tulum in the rainy season? You may be lucky and have no rain at all, or have non stop rain FOR 4 DAYS. 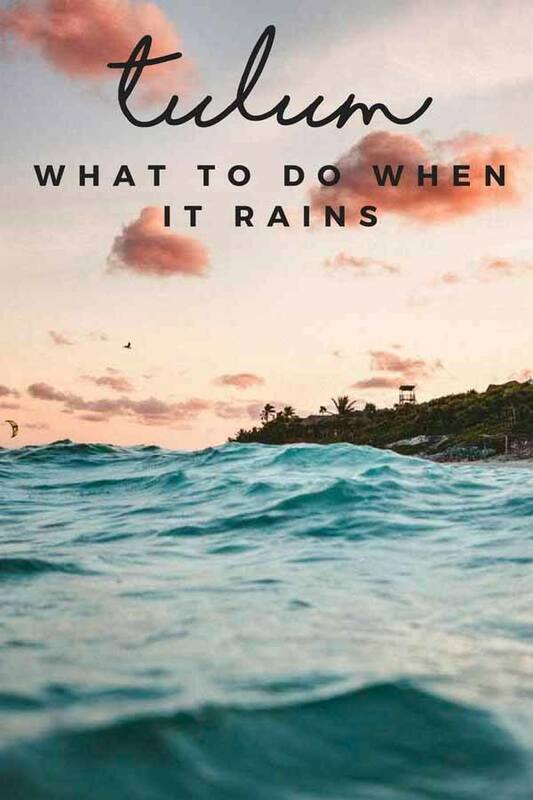 So, what’s there to do in Tulum in the rain? Read on, and find out! Ok, I’ll admit it. I wanted to visit Tulum because of Instagram. Just type ‘Tulum’ into Instagram, and you’ll see what I mean – impossibly beautiful beaches with blue as far as the eye can see, palm trees with just the perfect curve, waifs rocking yoga poses on the edge of cobalt-blue cenotes, eco tree houses, stunning beach cabanas… you get the gist. 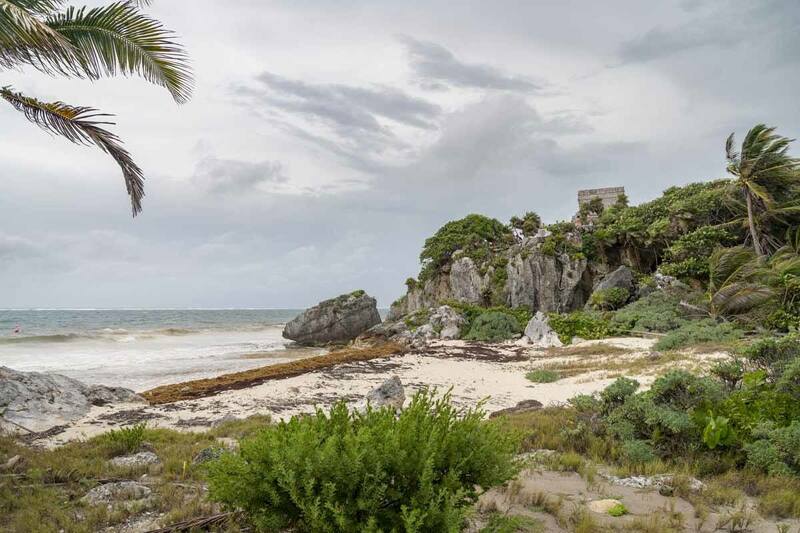 So, just like so many before me, I fell for that manicured, rarefied idea of Tulum I had seen online. Even though Tulum was so much more expensive than anywhere else in Mexico (one night in a beach hotel cost as much as a week in Mexico City! ), we still decided to plan four days in the famous Riviera Maya town. Four days relaxing on the beach, swimming in cenotes, having sunset cocktails at famous hotels like Casa Malca and Azulik, cycling through the palm trees and getting our own Insta-perfect pictures. Yet, our Instagram dream wasn’t meant to happen. 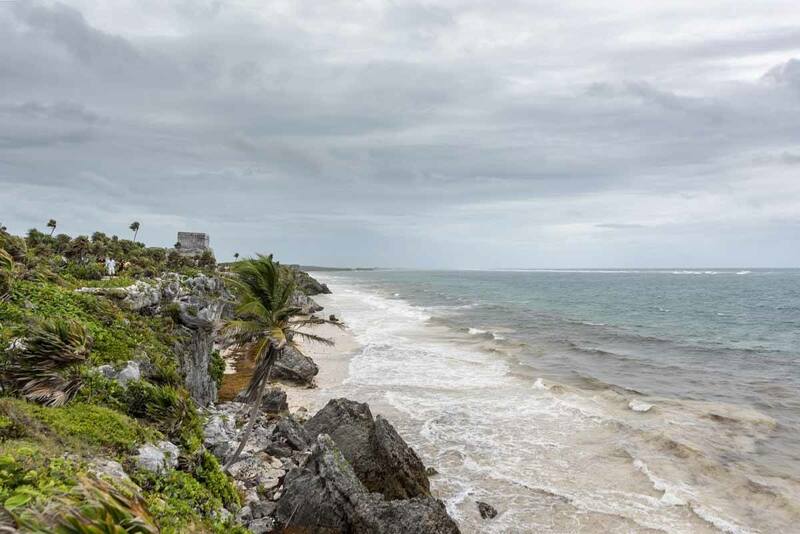 A freak storm hit the Riviera Maya and it rained non-stop for a whole week. It was June, the start of rainy season in Tulum, but the rain those days was unlike anything we had ever seen. 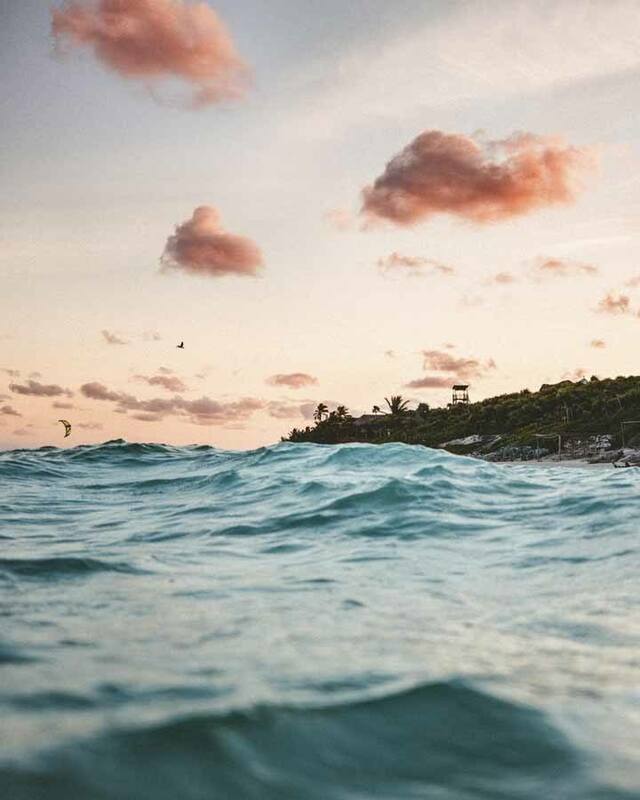 The rainy season in Tulum lasts between June and October, but rainfall is usually short and intense – tropical cloudbursts lasting an hour or two, followed by sunshine and stunning sunsets. There is a chance of hurricanes in June, but these are more likely to happen later in the rainy season, with August and September being the most likely months. We all know that the weather is getting more and more unreliable. We had dreadful weather in mid-June, a month that is meant to be not too bad in Tulum, and a friend of mine had nothing but sunshine and blue skies in August, which is usually the rainiest month. 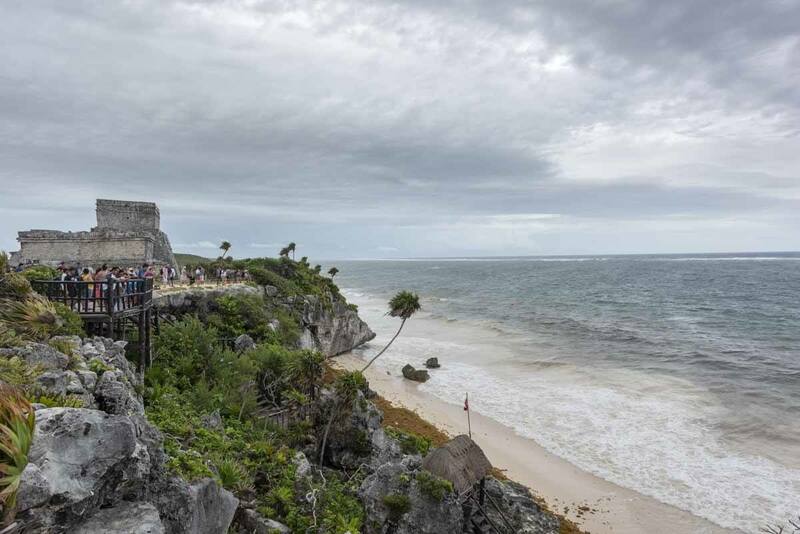 This is not to say you shouldn’t visit Tulum in June, or any time during the rainy season. 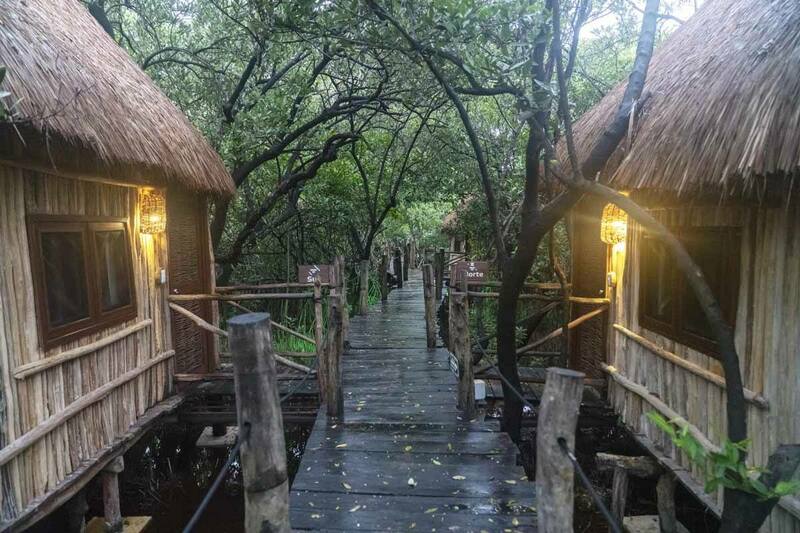 Instead of being miserable in our overpriced cabana, we decided to make the most of Tulum in the rainy season – and had some really great experiences. Here they are! Alongside ruins and beaches, cenotes are one of the main reasons to visit Tulum, with hundreds of cenotes within day-trip distance of the city. Rain or shine, any time is a good time to head to a cenote – especially when it comes to cavern cenotes, with only a small opening on the roof, allowing people to swim without noticing the rain. To make things even more exciting, Tulum is a great place to go cenote diving, with lots of options not far from town. We spent one day diving with Dom from Best Cenote Dives, who’s been living and guiding divers in cenotes around Tulum for the past 3 years, and spend his free time mapping new dive routes around unexplored cenotes. We opted for a two-tank outing, including Cenote Dos Ojos and Cenote El Pit, two very different diving experiences. Cenote Dos Ojos takes its name from the fact that there are in fact two connected cenotes, resembling two eyes. 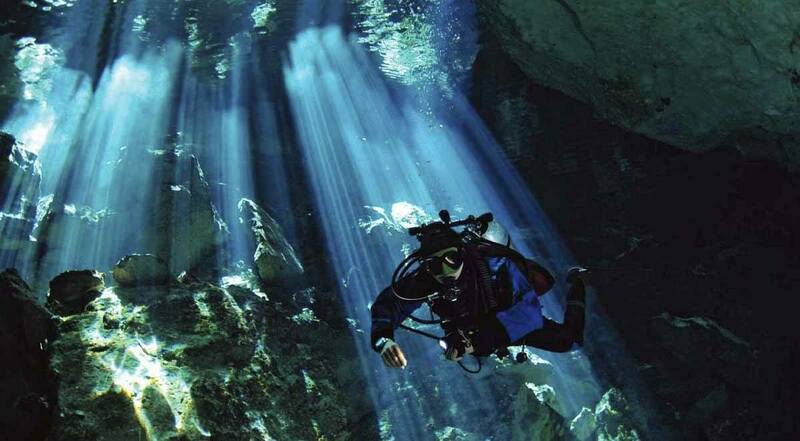 The two cenotes are the entrance to a vast submerged cave system, measuring a total of 82 kilometers. Cenote diving, one of the best things to do in Tulum when it rains! Our dive at Cenote Dos Ojos took us around the perimeter of the two ‘eyes’, and through the passage connecting them. 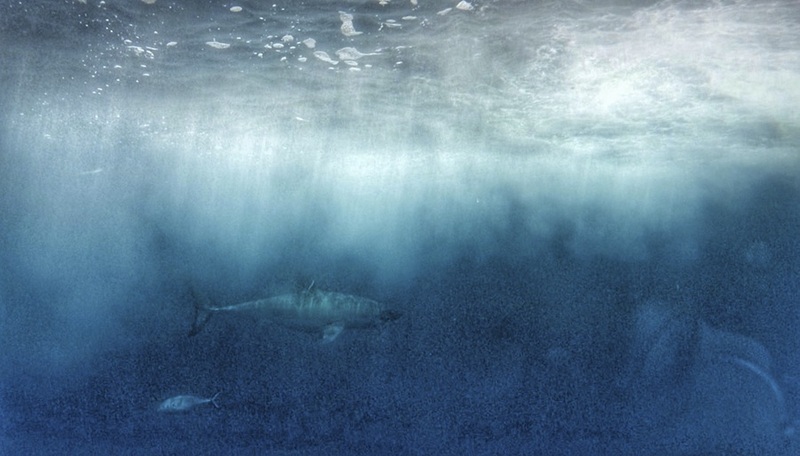 It felt like diving in an aquarium – visibility was excellent, and we spent the dive marvelling at rock formations and tiny black fish floating by. Cenote El Pit was a completely different experience. This cenote is very deep (hence the name!) and it’s possible to reach 35-40 meters of depth in one dive, allowing divers to appreciate how the cenote environment changes at various depths – we saw the haloclyne layer (where salty and freshwater meet, at around 15/18 meters of depth) and the eerie hydrogen cloud at 30 meters below the surface. The only thing we didn’t manage to see are the light beams streaming from the cave opening, one of the peculiarities when diving El Pit, but never mind – it was great nonetheless. We highly recommend going cenote diving with Dom if you’re visiting Tulum in the rainy season. Together with cenote diving, the Dining Experience was our other favourite Tulum activity, perfect to be enjoyed during the rainy season! 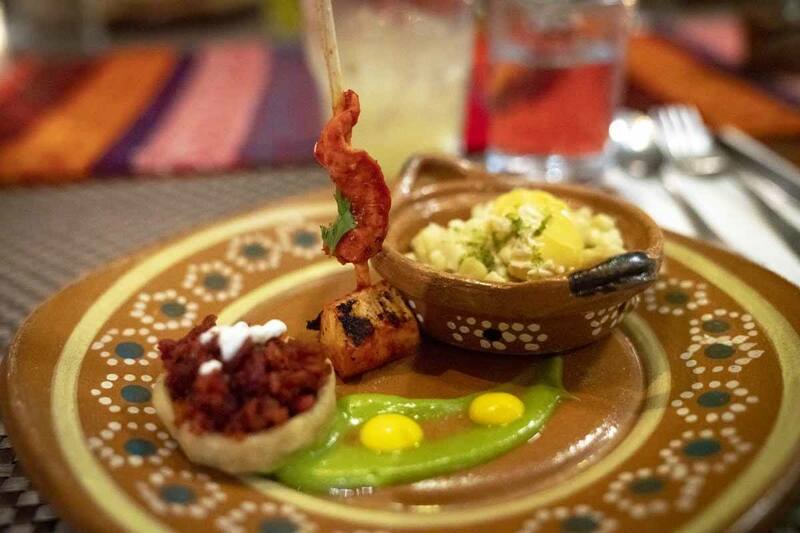 The Dining Experience is a journey in the exploration of Yucatecan/Maya gastronomy in the form of a dinner party, hosted by a guide/entertainer and with a few hand-on moments. 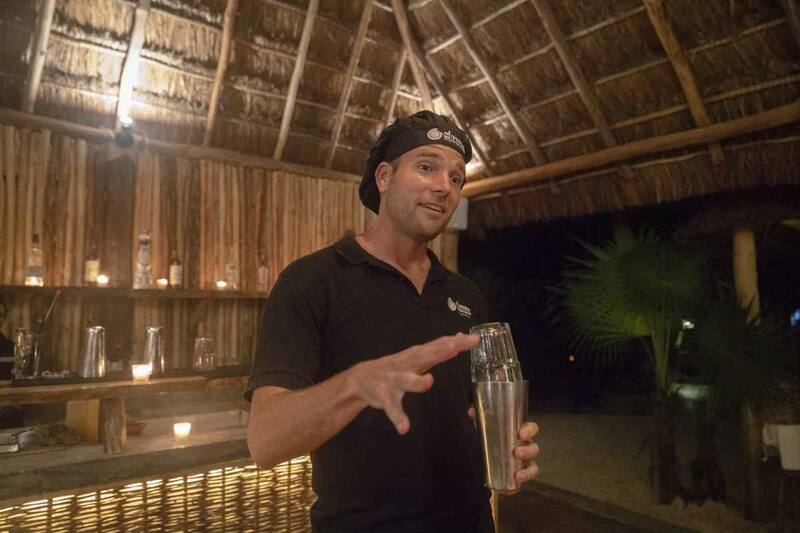 There are Dining Experiences both in Tulum and Playa del Carmen – when we visited, the Tulum one took place at Manglex, an eco-friendly hotel built on top of mangroves, close to the border with the Sian Ka’an Reserve. We were lucky that on the night we attended, the host was Leon, the creator of the Dining Experience. 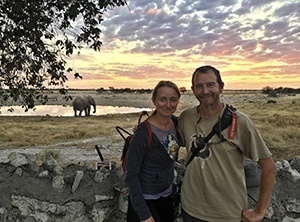 After having worked as a guide for G Adventures, and having run a ‘home restaurant’ in Buenos Aires for years, he started to run Dining Experiences in various locations around the world – including Tulum. Over the course of approximately three and a half hours, we learnt to make our own salsas and cocktails (of which we drank copious amounts!) and tasted a variety of delicious local dishes – including lionfish ceviche, my very own favourite. I won’t reveal too much about the Dining Experience, because being surprised is half the fun. Just take my advice, and book it! If you love food, good company and Mexican culture, you won’t regret it. Yes, I know that rainy weather isn’t exactly the ideal time to visit ruins, but don’t miss a trip to Tulum ruins even if you’re visiting in the rainy season! Don’t miss visiting the ruins, even if it rains! The Tulum Ruins are located just north of town, on the way to Playa del Carmen, so it’s super easy to make your way between the city centre and the ruins themselves – just flag down a passing colectivo and hop on. The fare will be about $30 MXN. From where the colectivos let you off, you’ll have to walk about 10 minutes to the entrance to the ruins. Just follow the crowds, you can’t go wrong. Tulum is unique because it’s the only Mayan town built on the coast, and one of very few that was protected by a wall on three sides – on the fourth, it overlooks the sea. The town is much smaller compared to other sites like Chichen Itza or Palenque, so shortly after making your way through the city walls, you’ll see the most iconic building – the Castillo, perched high on a cliff overlooking a paradise beach. Here’s the beach. Do you recognize the palm tree from Insta? Other buildings that are worth checking out are the Temple of the God of the Winds, also built on a cliff as if to protect the town, and the Temple of Frescos, used as an observatory to tracking the movements of the sun and stars. 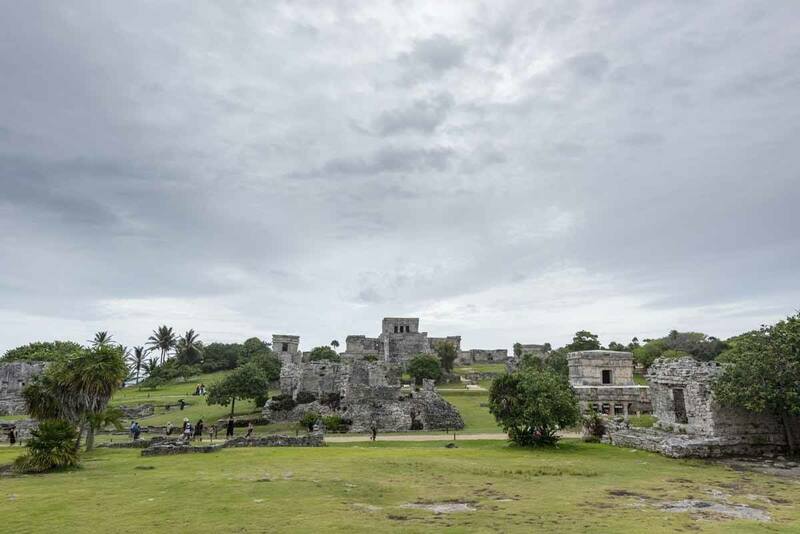 On a sunny day, Tulum Ruins is truly one of the most amazing places in Mexico, but even in the rainy season the clouds add a touch of drama to it. There will also be far fewer tourists, which is great for photo opportunities! If you’re into Mayan history, we recommend visiting the ruins with a guide – here are some tours! 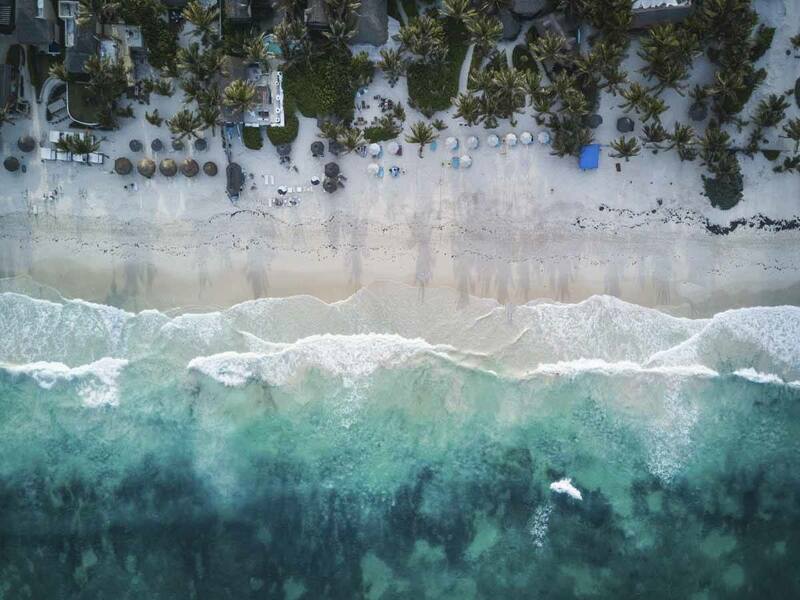 Tulum is divided in two parts, all very different from one another – your insta perfect beachside Tulum Playa, all eco-friendly buildings and pop-up restaurants run by celeb American chefs, and Tulum Pueblo, where most people actually live, and where prices are far cheaper both in terms of food and accommodation. 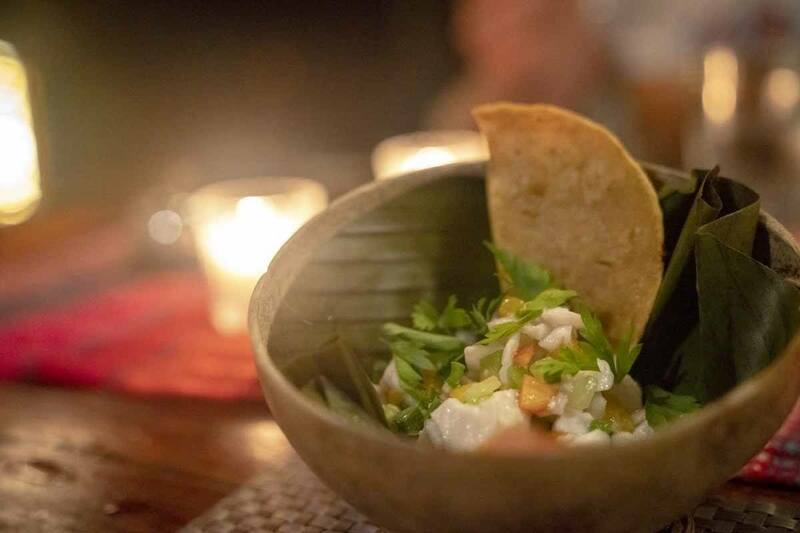 If it’s the hipster beach scene you’re after, check out CNT’s selection of the best Tulum restaurants – but please be aware you’d be spending the same as you would in New York. On the other hand, Tulum Pueblo is a great place to eat regular Mexican/Yucatecan food, at regular Mexican prices – ok, maybe a bit more, but not much. Here are our favourite places to eat in Tulum Pueblo, rain or shine! El Camello Jr – delicious seafood, reasonable prices and huge portions. Try the garlic prawns and octopus tacos! El Asadero – the best arrachera, a soft cut of steak, and other kinds of grilled beef! Antojitos la Chiapaneca – delicious tacos al pastor on the main drag of Tulum Pueblo! Taqueria Honorio – this is the best place in town for breakfast tacos, cochinita pibil and lechon first of all. I’m also still dreaming about their aguas frescas! Burritos Mi Amor – a tasty, hipster-ish place with lots of vegetarian and vegan burritos, as well as tasty homemade coconut tortillas. Naturally, Tulum has a booming yoga scene – what did you expect? A yoga session is a really amazing way to spend a rainy day in Tulum, focusing on your wellbeing and staying cozy while storms rage outside. What we said about different prices in Tulum Playa and Pueblo for food and accommodation also extends to yoga – studios by the beach cost a fortune, while in town prices are more reasonable. We heard great things about Yoga Dicha, one of the largest yoga studios in Tulum, with daily open vinyasa and flow session, as well as SUP yoga! 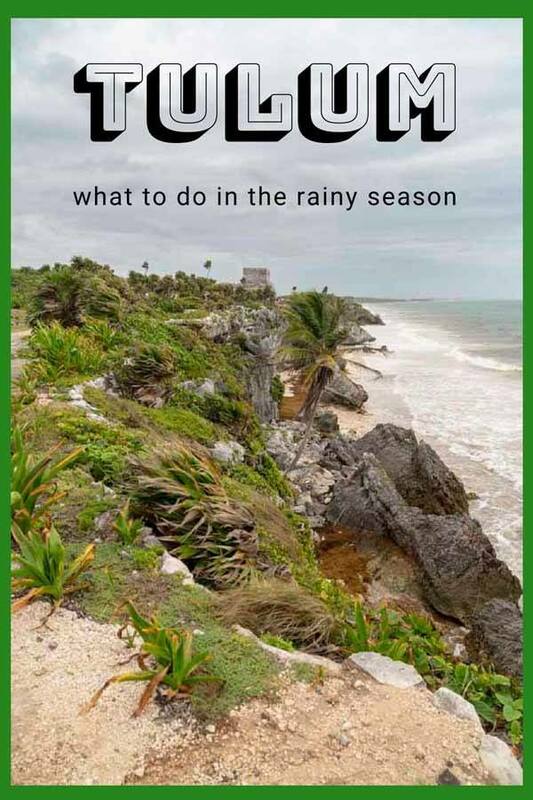 Ok, so you now know what to do in Tulum in the rainy season to make the most of it. But really, it would be better to avoid the rainy season, wouldn’t it? The best time to visit Tulum in terms of weather is December-April – this also coincides with high season, with Christmas/New Year and Semana Santa/Easter being the busiest periods. From Easter onwards, all through May, it’s a great time to visit Tulum – most of the crowds have gone, prices are pretty good, and it’s unlikely to rain much. November is another good shoulder season month. As we mentioned above, the rainy season lasts from from June to October, with August and September being the rainiest months. These months are great to get good deals on Tulum hotels and to enjoy the place with fewer tourists in sight. 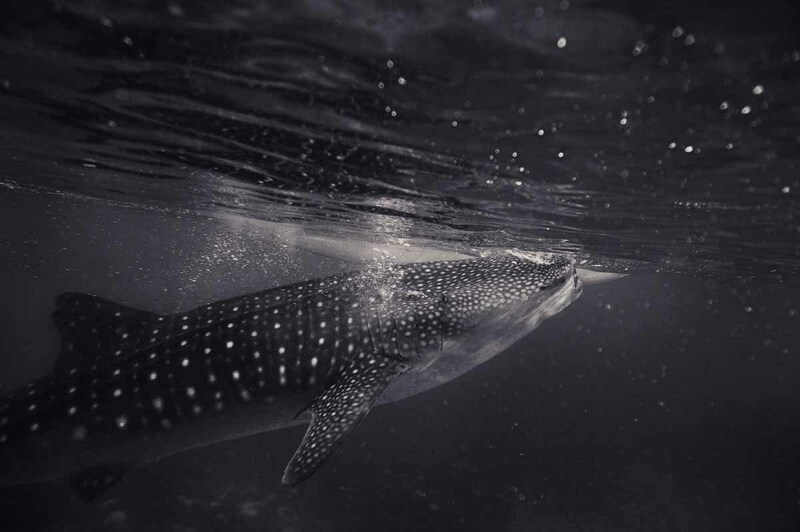 Moreover, June-August are great months for whale sharks and sea turtles – so even if it’s raining you can head to Akumal to swim with sea turtles, or make your way to Holbox for a whale shark tour! It’s super easy to get around Tulum, with only two main roads along which the town develops – the Carretera Chetumal-Cancun running through Tulum Pueblo, along which you’ll find many restaurants, hotels, dive shops, cafés and the ADO bus terminal, and the Carretera Boca Paila, the main drag of the Playa area. The entrance to the Tulum Ruins is also located on the Carretera Chetumal-Cancun, about 4 km from the ADO terminal. Tulum Pueblo and Playa are connected by Avenida Coba. The two parts of town are roughly about 5 km from one another, but they’re both quite spread out. To give you an example, Azulik and Manglex (two hotels at the start and end of the Tulum Playa strip) are about 6 km from each other. 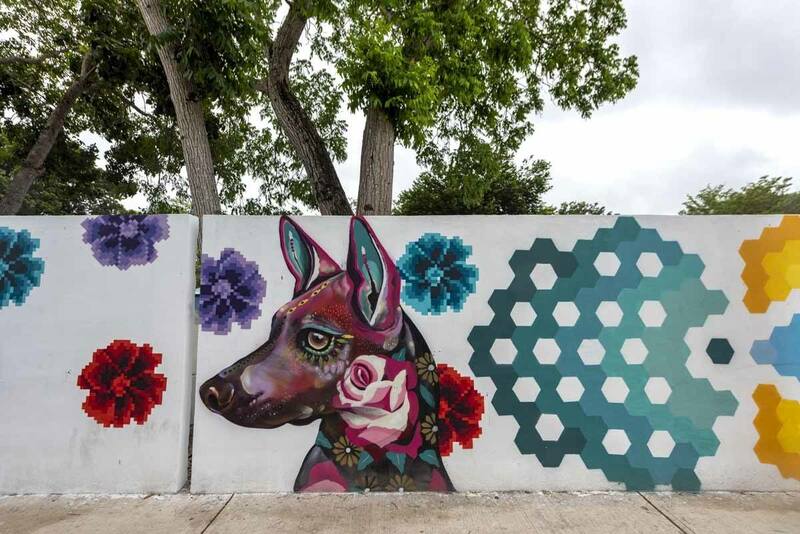 Colourful Tulum street art to brighten up a rainy day! Getting to and from Tulum Ruins, and going anywhere located along the Carretera Chetumal-Cancun is very easy, since there are several colectivos (minivans) passing by at all times, coming from or going to Playa del Carmen. Getting between Tulum Pueblo and Playa is harder – there are colectivos plying the route, but they are only for hotel workers. Most foreigners ride bikes or take taxis – naturally, if you’re visiting Tulum during the rainy season, we recommend opting for the latter. 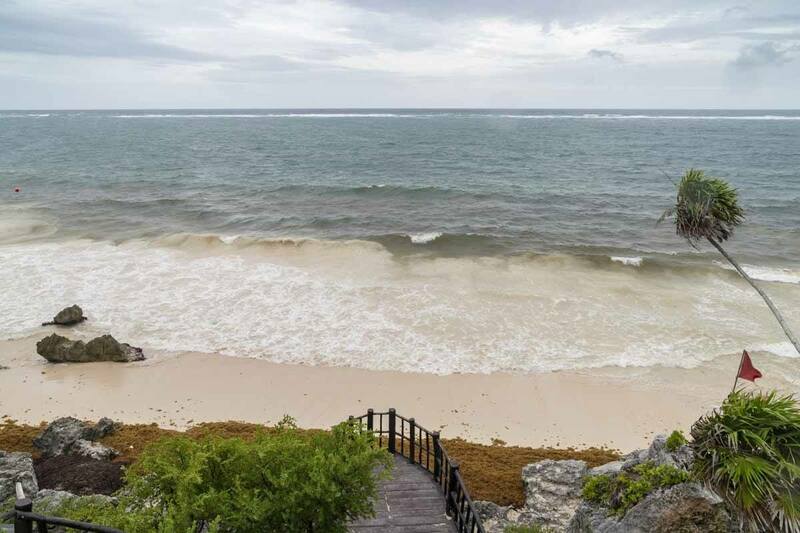 If you do end up being in Tulum in June or another wet month, we recommend staying in town rather than on the beach – you may end up spending exorbitant amounts of money to stay on a beach that looks like this. 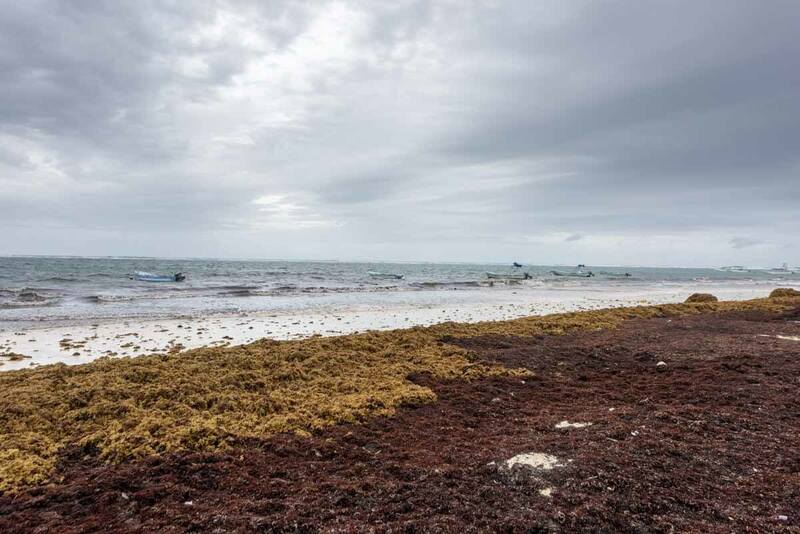 Seaweed covered beach on a rainy day. Not so Insta. 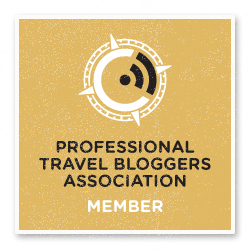 Here are some great hotels in Tulum Pueblo!